Plus, Get Our Adwords Essentials Training with Ninja Mike Rhodes (a $199 value)! If you’re not there. You need to be. You must stay at the leading edge or get trampled. Training modules on advanced market research, hyper-responsive ads, Display Network & more! 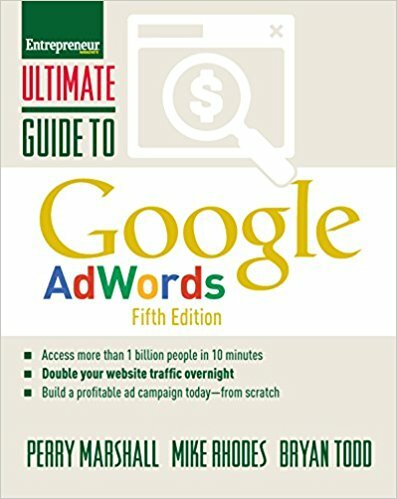 Nearly all other AdWords books are now out of date due to recent changes in Google. But with the 5th edition you’ll not only get our latest insights, you’ll also get updated online supplemental materials so you’ll be able to stay on top of the AdWords game. The majority of searches are now on smart phones. If you’re not on top of the mobile game, you’ll be what was. Find out how to avoid that fate. Google’s powerful automation features are now essential. If you’re not using them, your competition will leave you in their dust. Learn how to put them to work for you instead of against you. A large percentage of searches are local, for businesses like dentists and restaurants. If you’re a local brick-and-mortar, you must have a strong Google strategy. The “right side wipeout” ratcheted up competition. Google is now a 95/5 game. If you’re not in the “5” you’ll be out of business in a few years. Find out how to leverage this change for big traffic boosts. Google switched one full “slot” on the search page from organic free SEO to paid search. 10% more real estate for advertisers than before. If you’re relying on SEO alone, you’re do so at your own peril. Google completely revised the format of both text and display ads. This is a huge change that advertisers are still confused about how to deal with. We take you by the hand and show you how. How to use audience bidding to reach your targets based on gender & age. The interface is completely redesigned for early 2017, which means you need a new reference. Our online supplement contains instructions on how to deal with this. Adwords Scripts have utterly changed the level of automation possible in accounts. Your success on AdWords success is largely determined by how well you harness your automation opportunities! All of Mike Rhodes’ insights have been culled from millions of dollars of ad spend working with some of the largest advertisers on the internet. And speaking of Mike, you get our AdWords Essentials Training (a $199 value) for free with your purchase. Ninja AdWords expert, Mike Rhodes will take you by the hand and step you through everything you need to know to get started. He’ll show you how to set up your campaigns to avoid the mistakes made by most advertisers. And how to get the traffic that converts and helps you achieve your business goals. Mike will start with the very basics…Like “What is AdWords?” basic. Then he’ll step you through when you should…and shouldn’t…use AdWords and why. He’ll show you where your ads can show and where you want them to show. He’ll give you a tour of the newest AdWords interface and show you what to pay attention to and what to ignore. But most importantly, Mike will show you how to align your AdWords goals with your business goals. By the end of session one, you’ll know how to set your targets and your KPIs so that you get the traffic you want at the price you want to pay! Ads: How to write a good ad? How to come up with ideas for ads? How to do split testing and play “beat the champ”? Ad Groups/Campaigns: How to build the right way from the ground up. This is uber-important and will pay for the course all by itself if you listen to Mike and follow his instructions! Session Three: My Ads Are Running, Now What? How to do basic AdWords account optimization. What you need to do day-to-day and week-to-week to get the most from your AdWords account. An introduction to conversion tracking, how to set it up. An introduction to bid management. By the end of Session 3, you’ll know how to build a solid foundation that won’t get washed away like sand in the tide! WebSavvy’s founder Mike Rhodes is a popular international speaker, best-selling author & consultant. He has over nine years’ experience managing & running Google AdWords campaigns. 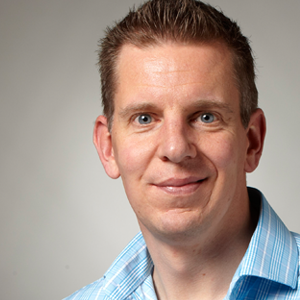 Formally a qualified E-Myth Consultant, he’s been building small businesses for over ten years & considers online marketing a tool to grow businesses, not just get traffic to a website. He has built WebSavvy to be one of the top PPC agencies in Australia. So, add the book to the cart. We’ll ship it straight to your house or office, and you can begin chiseling your way in and showing up when those 40,000 people per second search on Google. And the ones who are looking for what you sell will find you instead of your competition. That’s your first step toward success on the internet. Perry Marshall is one of the world’s most expensive and sought-after business consultants. He’s endorsed by FORBES, INC Magazine, and one of the most respected entrepreneurs in the world. Clients seek his ability to integrate engineering, sales, art and psychology.